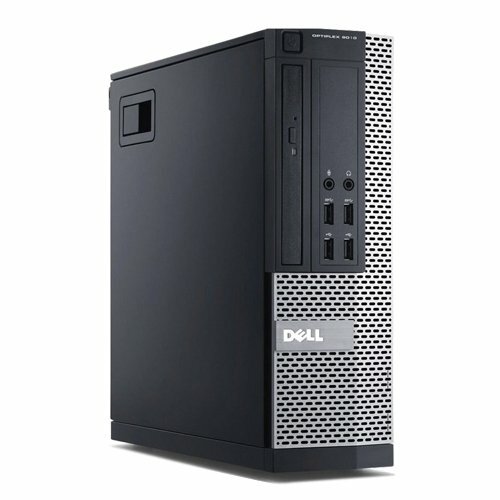 This Refurbished Dell 9010 SFF is designed to deliver best-inclass productivity and businessclass control for great return on investment. The most powerful Optiplex ever, the 9010 features 2nd Generation Intel i3 CPUs and supporting DDR3 SDRAM. This unit is the perfect foundation for your business to grow upon as well as being a terrific addition to your home network. With invaluable ease of flexibility, this professionally refurbished Dell 9010 is certain to meet your computing needs! Storage: 250GB Hard Disc Drive for ample storage of your digital media files! Model: Dell Optiplex 9010 SFF - Intel Core i3-3220 3.3Ghz, 4GB DDR3 - Ports: (4) USB 3.0 (2 Front, 2 Back), (6) USB 2.0 (2 Front, 4 Back), (2) Display Port, (1) VGA, (1) Serial Port, (1) RJ-45 (Ethernet), (2) PS/2, (2) Line-in (Stereo/Microphone), (2) Line-out (Headphone/Speaker). Software: Comes Pre-Installed with NEW Windows 7 Professional 64-Bit Operating System. What's in The Box? Refurbished Dell Optiplex 9010 SFF with Power Cable, New USB Keyboard & Mouse!